We're kicking things off at this year's TACCM Conference with a fun learning session on Adobe Spark Video. You'll learn how this program allows you to create social media videos that are branded with your colors and logos. All you need is a smartphone! 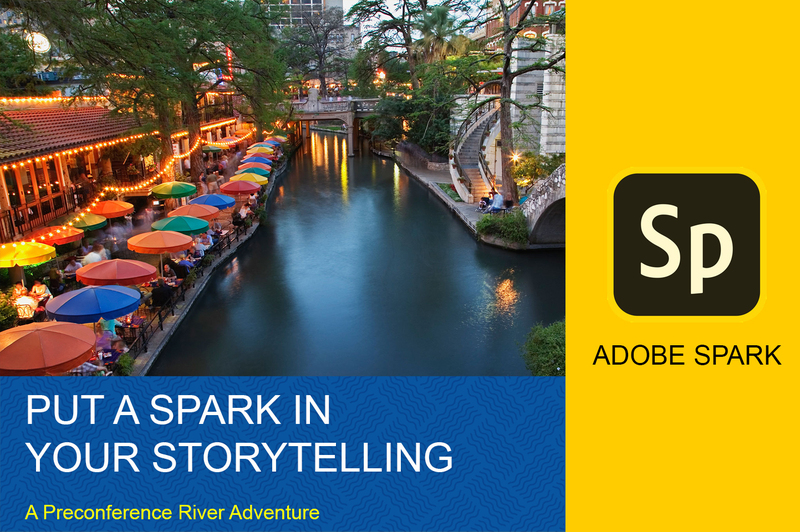 We'll hop on the river boat, check out the San Antonio sites while you test out the app. You'll shoot and edit your own sight-seeing videos that will be shared with TACCM attendees. After the river ride, we will gather again to troubleshoot and discuss any issues you may have faced while making your video. Great event for social media specialists, writers, video/media experts and anyone that just wants to up their video game. Continental breakfast provided and a free gift for session attendees! River Boat Tour: 9:15 - 10:15 a.m.
Add this preconference workshop to your registration! Amanda Sotelo is a Communication Specialist with Texas State Technical College. As a social media contributor, she's become an expert at creating short videos for Facebook and Instagram. Her phone app of choice: AdobeSpark Video, an integrated suite of storytelling applications for mobile and web. Sotelo holds an associate degree in Digital Media Design and a bachelor's in Mass Communications and Marketing.